Upon arriving at Colby in the Fall of 2005, Brian switched from playing Defensive End to rowing four seat on Colby's Varsity Crew Team. However, Brian's extensive resume of athletic feats fails to translate into mano y mano ability, and yours truly trouncedhim in a spandex wrestling match last week despite his thirty pound weight advantage, 2-0. Some of you may know Brian as Kuppykakes, a level 80 fury warrior on the Alexstrasza Server. Brian sacrificed many a cold Maine Night to achieve this prowess, and has recently retired from his account, ending a two year love affair with the World of Warcraft. Over winter break, Austin's next door neighbor, a Yale Alum, gave Brian this Whalerknits Yale Sweater from the mid 80's. Made in the USA, damn right! 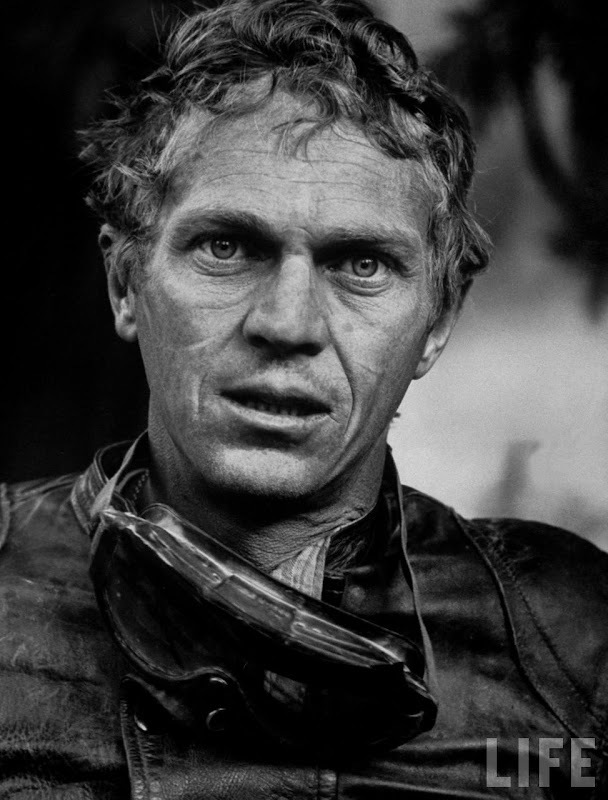 Steve McQueen was a combative and wild actor whose off screen infamy, appetite for adventure, and Hollywood roles defined the Vietnam-Era anti-hero. As a child, Steve struggled with dyslexia (respect) and bounced around foster homes, eventually settling at the California Boys Republic in Chino California. 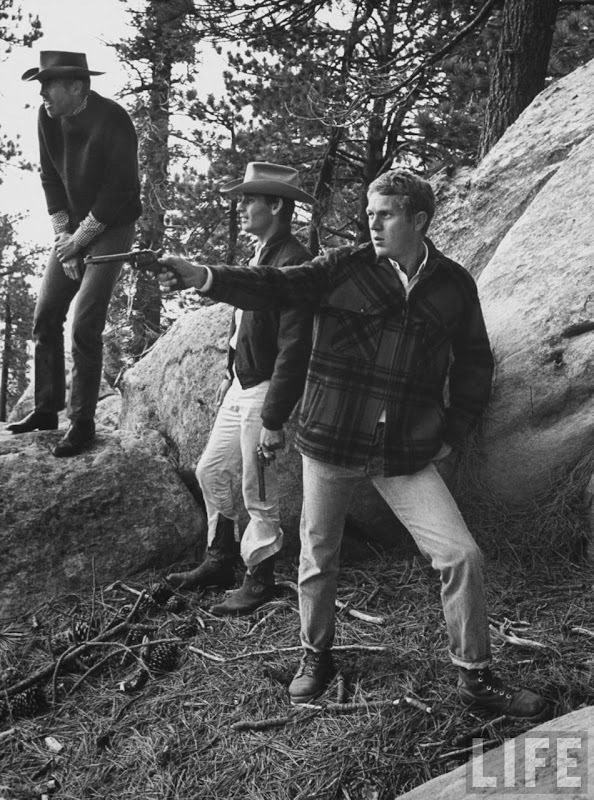 Here McQueen found footing and sparked his interest in acting. 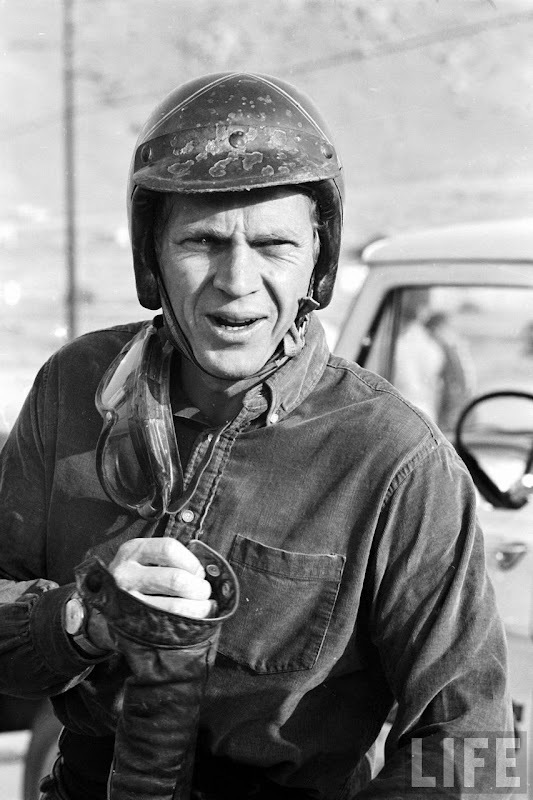 At the beginning of his acting career, McQueen subsidized his living expenses with winnings from weekend motorcycle races. In 1999, McQueen was inducted into the Motorcycle Hall of Fame to commemorate his life-long love and contributions to the sport. 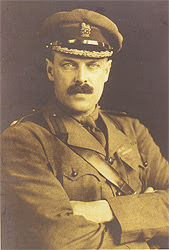 Think of a Brad Pitt that shoots guns, smokes two packs a day, races motorcycles and Ferraris, gets in fights, has a slew of wives, does his own stunts, flies WWI biplanes, and is the highest paid man in the business. In December of 1979, McQueen was diagnosed with mesothelioma, the topic of many of late night advertisement and holder of the coveted highest pay per click advertisement on Google AdWords. McQueen refused to take his death sentence for granted and went to Mexico to try a sketchy treatment involving coffee enemas. I couldn't make that up. His loosing battle with cancel eventually ended in Ciudad Juárez, Chihuahua on November 7th 1980. 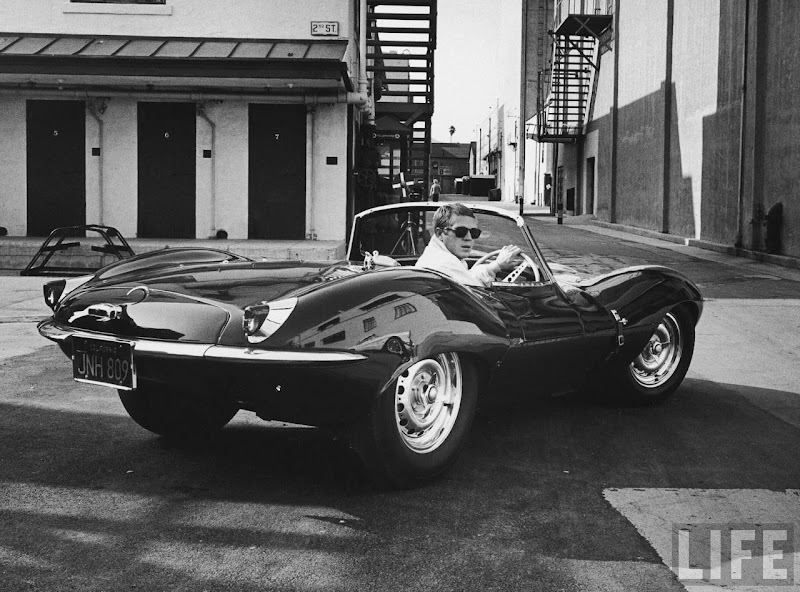 Steve McQueen was a man's man.